Life is full of uncertainty but few things are certain and retirement is one of them. Once you are tired, you leave your employment / business, we call this state as retirement. Retirement is time to sit back and enjoy your life! You have lot of time to do what you want, when you want and how you want to, so we can say life begins at retirement. Today, you are having comfortable life-style. There is regular income and your day-day expenses are taken care of. However, the future will not be same. Rising inflation will affect everything. A packet of bread that costs Rs.30 today could cost around Rs.100 twenty years later. This means on retirement your expenses will sky-rocket. Unless you have sufficient income after retirement, it may be very difficult to manage your expenses. any future health care costs. will come from multiple income sources that will start and end at different times,possibly leaving gaps. So, let’s take small quiz to find out you are ready for retirement or not. If you answered a. or b. to question 1, d. to question 2, and a. to the last question, you have planned your retirement well. If you have answered differently, than you must plan for your retirement. So, if you are not ready for your retirement we will help you to figure out how much you will need in your sunset years. Retirement corpus calculation is one of the most complex economic calculations.Most of the clients when thinking of retirement corpus have simple calculations in mind that they spend X amount every year & in future they need some X retirement corpus assuming a rate of 8% but they ignore many things including tax & inflation once they reached to retirement they don’t have any choice but to adjust their lifestyle. In order to avoid this type of situation we are here with five step guide to plan your retirement. In order to estimate your expense post retirement you must know your current expense. Based on your current monthly expense you can drive your total annual expense, just multiply it by 12. In this step you have to make list of your current assets and its values (like equity, mutual funds, PPF or other). Based on this value we will come to know deficit (actual amount) for which investment is required (Corpus required – Current Assets). Once you know actual amount for which you need to invest your task will be quite easy. Based on investment options available in market you can select best suitable option for your needs, if required you can take advice from financial planner. 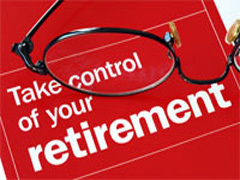 To make this process simpler we are herewith free retirement planner. This retirement corpus calculator is made by using inbuilt functionality of excel FV= Future Value & PV = Present Value we have tested it repeatedly for accuracy of result. Like every tool it provides estimated retirement corpus and monthly investment required. For simplicity the inflation rates before and after retirement are taken to be the same 7%. This inflation rate is assumption only it may fluctuate time to time. Rate of return is taken constant it may change based on investment options. How you can beat Inflation?